In a bid to promote international standards for vocational training in 45 skills across India, National Skill Development Corporation (NSDC) under the aegis of Ministry of Skill Development and Entrepreneurship (MSDE), Government of India will organize IndiaSkills Regional Competition in Bangalore from June 21 to June 23, 2018. Anantkumar Hegde, Minister of State, MSDE, and other senior state officials will inaugurate the three-day event at BIEC - Premier International Exhibition Centre, Bangalore. The competition is designed to demonstrate the highest standards of skills in India and make vocational training aspiration for the youth in the country. More than 300 competitors from 12 states and union territories (Andhra Pradesh, Kerala, Andaman & Nicobar Islands, Tamil Nadu, Jammu & Kashmir, Maharashtra, Punjab, Chandigarh, Himachal Pradesh, Bihar, Uttar Pradesh and Madhya Pradesh), will participate in this 3-day competition across 36 skills/trade ranging from Beauty Therapy and Aircraft Maintenance to Welding and Autobody Repair. For the first time, the event will also witness 20 competitors from Andaman & Nicobar Islands participating at IndiaSkills Competition. The event will begin with a grand inauguration ceremony, followed by skill competitions, exhibition and panel discussions on the subsequent days. Winners will be announced at the closing ceremony scheduled in the evening on 23rd June 2018. The winners from this competition will compete with the winners from other 3 regional competitions, at the National Skills Competition scheduled at New Delhi in August 2018. Since April 2018, more than 500 competitors district and state level competitions have been organized across India. This year we have witnessed competitors from all segments of the society challenging conventional stereotypes across different sectors. For example, Nagma Sheikh from Gujarat came first in Brick Laying competition at the first regional competition in Jaipur last month. Similarly, Mohammad Adeeb Bha from Jammu & Kashmir will be the first ever male competitor in Beauty Therapy at IndiaSkills in Bangalore. The participants for the IndiaSkills Regional Competitions have been selected post a rigorous process at the district and state level competition organized by state and industry partners across the country. The winners from these competitions are competing in the four regional competitions organized at Jaipur, Lucknow, Bangalore and Bhubaneswar; followed by a National Competition in New Delhi in August 2018. 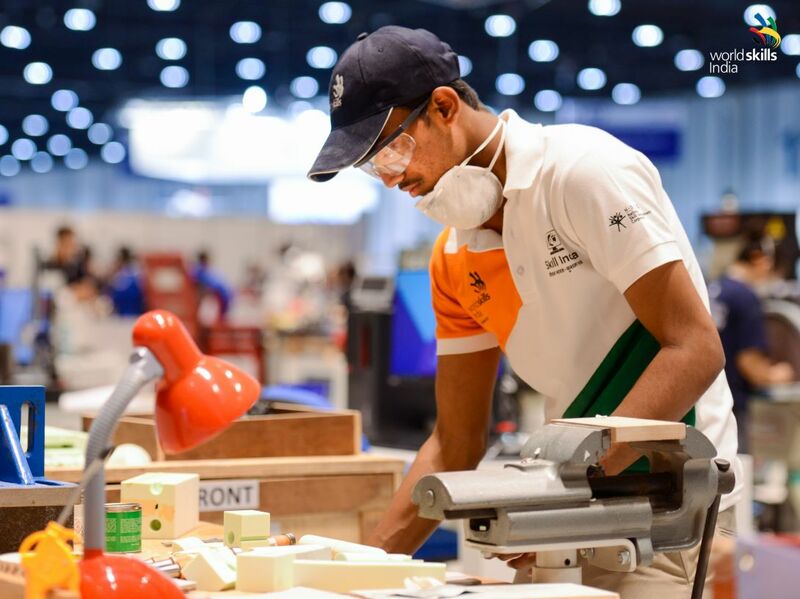 The winners from these competitions will under undergo rigorous training, before they represent India at WorldSkills 2019 in Kazan, Russia.